Eight months in development, the company now offers mass customization to scores of partners. Telecommunications networking giant Ciena on Thursday unveiled an overhauled and relaunched channel program. While it will impact only a few hundred partners initially, it could ultimately influence thousands upon thousands of partners worldwide thanks to its radical design. Here’s why. Instead of making modest tweaks and minor adjustments, Ciena channel chief Sandra Glaser Cheek has decided to throw out the company’s old partner program, not to mention a lot of outmoded ways of doing business along with it. Cheek, who has been at Ciena for a little more than a year, spent six months analyzing the old program. Along the way, Cheek, a member of the Channel Futures Think Tank, talked with existing partners, huddled with experts and then came up with something that is radically different than most partner programs. Tiered-levels with precious-metal names? Gone. Onerous certification and training requirements that don’t align with partner business models or go-to-market strategies? Also gone. And separate engagement models for different partner types? Those have been eliminated too. 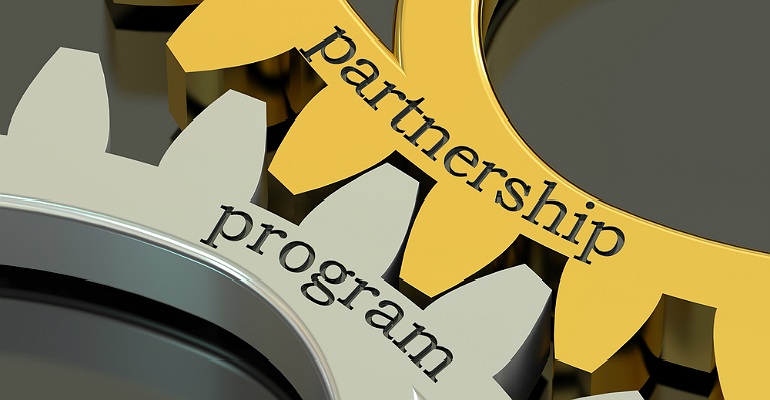 The new Ciena Partner Network (CPN) is a single, unified partner program that treats partners, no matter their size or business model, similarly. Make that personally. The new program is more flexible and collaborative than anything Cheek has seen in all her years in the channel. The new CPN program, which is open to managed service providers, resellers, integrators, distributors and service partners, includes roughly 200 or so specialized partners today. This includes companies such as Anycomm, CenturyLink, Comcast, Kapsch, LightRiver, Windstream and Zayo. Ciena doesn’t publicly say what percentage of its business goes through the channel, but the total revenue figure is huge. And a surprising amount is done through MSPs. Rather than craft specific programs for different partner types, Cheek opted to create one unified program that embraced the idea that all of its partners are unique in their own way. “Every business is different. So instead of creating 10 or 15 rigid programs that don’t serve anyone, I decided to create one flexible program that is personal for everyone,” Cheek says. Under the new terms of the CPN, partners can opt to become “professional” or “elite” partners. Rather than sales volume, the key differentiator between the two designations is a partner’s willingness to participate in joint business planning with Ciena. Elite partners, which account for 90 percent of the company’s indirect sales, will get their own customized program annually, says Cheek. These bespoke will revolve around the commitments that an individual partner is willing to make in three key areas: sales, training and market development. “Every partner has different objectives. Some want to grow a certain percent. Others want to penetrate new markets. And still more want to develop new services. We’ve created new training and enablement based on what an individual partner wants to do. Want to get into encryption or DCI? That’s going to require different help from us,” she says. There’s more: Given the radical structure of the new CPN, Ciena recognizes that many hallmarks of traditional partner programs no longer apply. This includes MDF, which at most companies is an entitlement program. Not so at Ciena. At Ciena, MDF is now an investment opportunity with fewer restrictions. Want to spend some money to promote your business and Ciena innovations? Write a proposal, Cheek says. If the idea aligns to an individual company’s business plan, Ciena will greenlight it. There are no theoretical restrictions or overly rigid design constructs. “If you are going to commit to a certain amount of growth or business, and you have a plan to develop the market, then we are going to trust that you know your unique space better than we do,” adds Cheek. While this may sound a tad wonky to the casual channel observer, the idea that a channel program can be mass customized to partners of any size is truly radical. Could it serve as a new industry norm? It could, albeit to a certain degree. In reality, Ciena’s technology and business model is very different than most technology vendors. Ciena doesn’t transact much with SMBs or even commercial accounts, for example. Instead, Ciena’s business revolves around closing very big deals with national or regional service providers, and massive enterprise accounts that demand very fast networks and very large capacities. Think research universities, financial institutions, utility companies and tech giants including Facebook and Apple. Closing a deal with one of these entities can take Ciena and its partners as long as two years or more. Despite these anomalies, Ciena’s new program, nonetheless, puts pressure on other vendors to up their game — if nothing else for the simple sake of common sense. Take training. In the past years, Ciena demanded that its partners take a certain number of technical training courses. But because it did not update its curricula, partners wound up taking the same training year after year. Dumb. With the new CPN, that’s effectively done and gone. Then there was partner enablement. For a select few partners, including key MSPs, Ciena provided a lot of sales assistance under the umbrella of the Ciena Insights Engine, which is a combination of human and research-based assets amassed and delivered by third-party industry analysts, Ciena consultants and information resources such as Hoovers. Armed with this information and help, a partner in southern California could get from Ciena geo-analytics on where available fiber is available in the area, which buildings have access to it, and the names of businesses within those facilities that housed potential buyers. Rather than limit this information to a select few, Cheek is now pushing to make the “engine” available to more partners. And why not? Given the individualized nature of Ciena’s program, it’s not likely that Ciena will find itself having to play favorites in the field. While the new CPN won’t scale to fit every channel or partner community, the new program hints at some possibilities that could soon be coming your way, regardless of which channel program you are enrolled in. Along with Nutanix and a handful of others, Ciena is radically pushing the boundaries of what partnering can be.